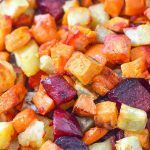 Roasted Beets and Sweet Potatoes make for a healthy and delicious side dish for the whole family. Add to salad, even great in vegetable wraps! 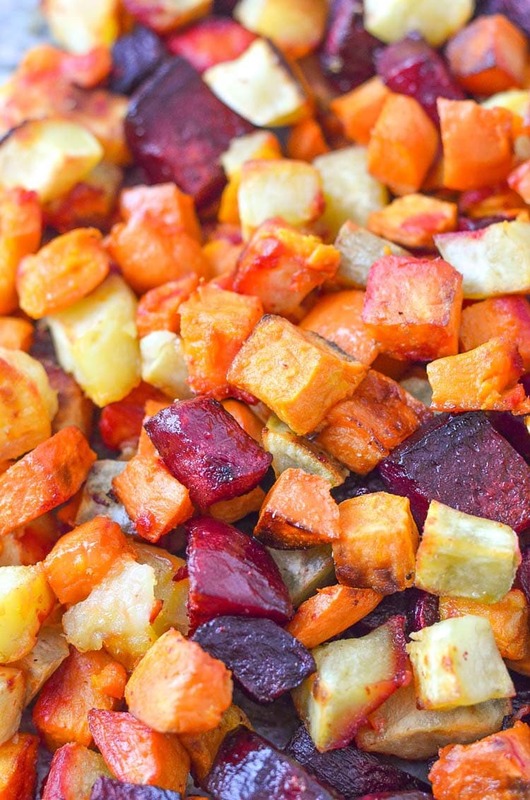 Roasted Beets and Sweet Potatoes cook up in just 30-40 minutes! We eat sweets and beets like candy. I often make a large batch and just store in containers. 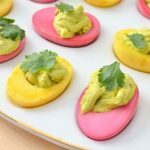 They are excellent plain and you could even put them into a salad or burrito and wraps! Most of the time we just eat them off the tray within minutes, they’re that good! I make it whenever we buy beets and sweet potatoes. 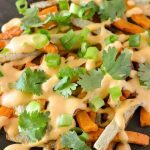 You can use any variety of sweet potato, even purple sweet potatoes will work well in this recipe. The first photo has Hannah white sweet potatoes, regular sweet potatoes, and beets. The bottom photo has just regular sweet potatoes and beets. We like to roast them using coconut oil. We sprinkle with seasonings like garlic, parsley, and onion. You could even add chopped onions and garlic if you’d like. Kids will love this recipe too as it’s super sweet and who doesn’t love potatoes? 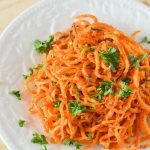 It’s a healthy side dish that is great for snacking. Make a huge sheet pan of them for meal planning. 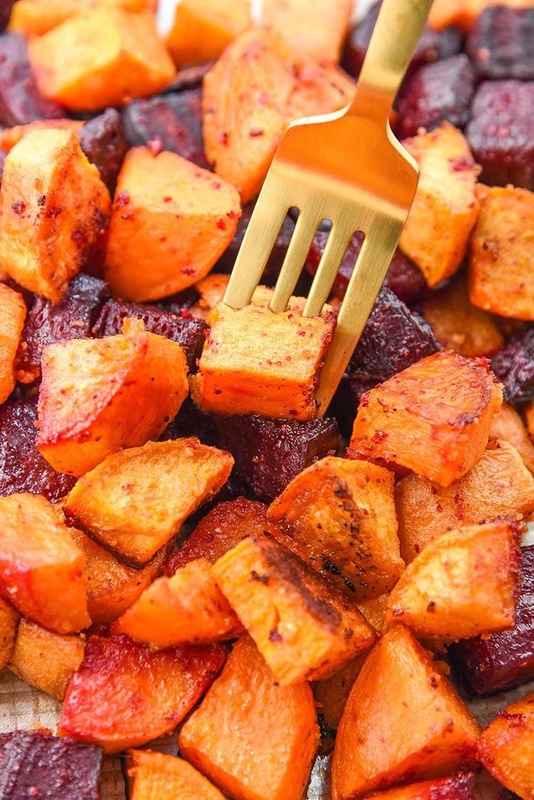 Start by preheating your oven to 400 degrees F. Chop up the sweet potatoes and beets in about 1/2 inch bite size pieces and place right on the baking sheet, a sheet lined with parchment paper or reusable liner like a Silpat. Season the beets and sweets with the desired seasoning. We use garlic, onion, and salt. You could simply use salt and pepper as well. Bake for 20 minutes and then give a toss. 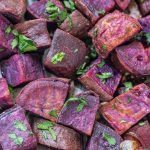 If you want them to cook in just 30 minutes cut the sweet potatoes and beets into smaller bite-size pieces. Cook another 15 minutes or until the potatoes are tender. We do not recommend using olive oil and also no longer use coconut oil. We suggest using a high smoke point oil and use either avocado oil or algae oil when baking in the oven to 400 degrees and over. if you want some color you can also add some parsley, we do this sometimes if we’re placing on salads to make it look prettier, but it doesn’t change the flavor much. you can make roasted sweets and beets ahead of time – make a large batch for meal planning. add them to give a heartiness to salads, burritos, burrito bowls, wraps, and even breakfast hash. 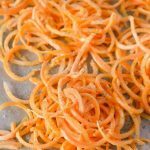 add in other root vegetables like carrots, parsnips, you can even roast Brussels sprouts with this recipe. If you liked this recipe you’ll love our post on how to roast vegetables. Roasted Sweets and Beets a healthy and delicious side dish for the whole family. This recipe is so good and full of sweetness. Add to salads, use as a side dish, even great in vegetable wraps! 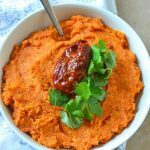 6 medium sweet potato orange, white, or even purple! Peel sweet potatoes and beets. 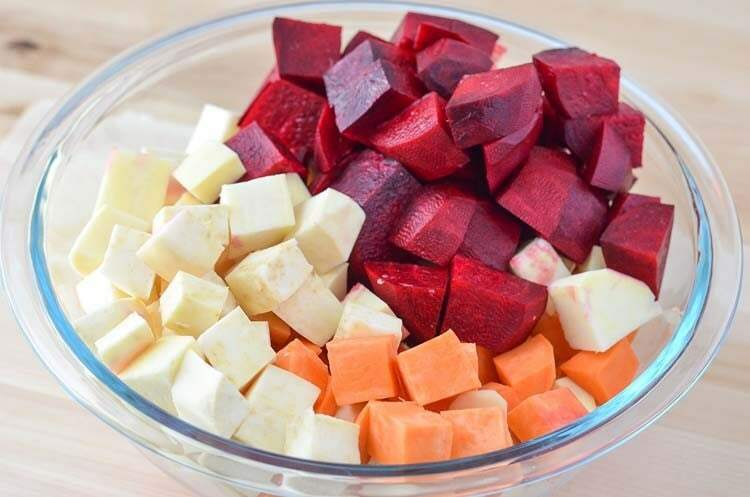 Chop up sweet potatoes and beets into bite size chunks. Place onto a cookie sheet lined with parchment paper and sprinkle with seasonings and oil. Mix together and then place into the oven. After 20 minutes of baking in the oven, give the sweets and beets a toss. Bake for another 20-25 minutes or until lightly browned. 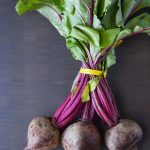 SHOULD THE SWEETS & BEETS BE REFRIGERATED? Absolutely LOVED it, I loved it, my lady loved it, my dogs loved it!!! 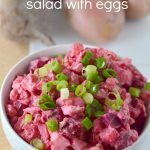 The coconut oil gave it an incredible taste as it does all veges…..
I’m new to using beets! Do you peel the beets first before cutting and roasting, or do you just cut them in chunks without peeling and roast? Thanks! In the top of your recipe it says cook time 30 mins, but in you directions it says too cook for 20 mins, toss, then cook for an additional 20-25mins. Which is the correct method? Im assuming the total cook time is the 40-45 mins. 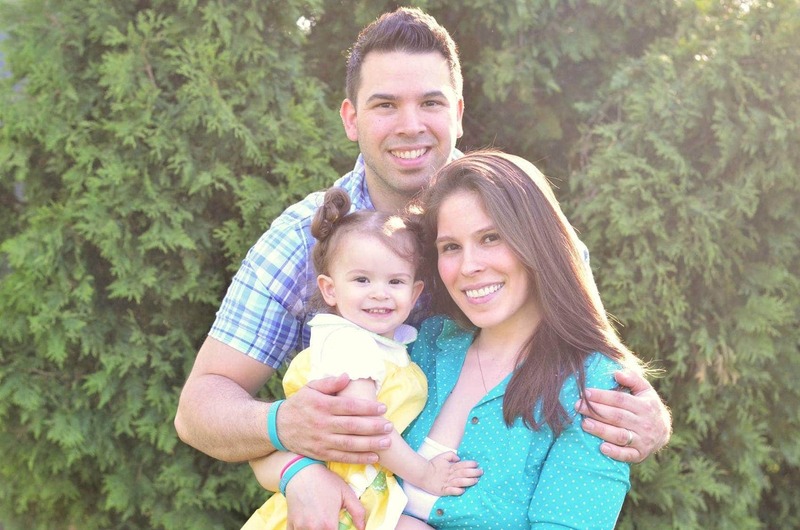 Entire family loved! Gotta double the recipe next time! It says you can make ahead. Would you suggest warming/reheating for the meal? If so, how? I’m making Christmas dinner and would love roasted vegetables but will have limited oven space. We usually reheat if we’re using them for meal prep. Ideally for something like Christmas dinner we’d like to make this fresh, but if not we would bake them again to crisp them up. If you use a microwave they’ll be a bit soggy.